PlayerUnknown's Battlegrounds or PUBG was the 'game of 2018' and its popularity will only grow in 2019. The popularity of the game is owing to the fact that it is free on mobile and is not restricted to the high-end devices. The game developer, PUBG Corporation, has made the game more accessible by making sure that the people with affordable devices can also experience its unique challenges and compete with other gamers without any hiccup. Poco F1 - The best sub-20k smartphone that would not lag a bit is Xiaomi's Poco F1. The phone comes with flagship specs and runs on Snapdragon 845 SoC. 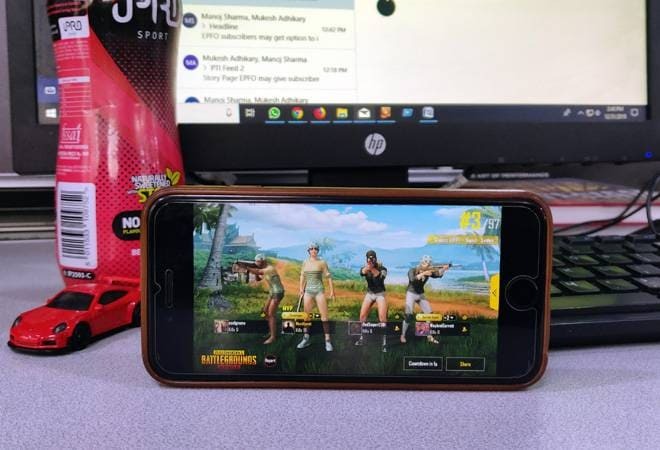 At the moment, the 845 is the most powerful chip that money can buy and with 6GB of RAM, PUBG gamers will not face any problem traversing their way around the map. Honor Play - The phone comes with a powerful Kirin 970 octa-core processor with dedicated GPU that boosts the overall gaming performance of the phone. Touted as the gaming phone, Honor Play is the best non-snapdragon bet for having a fulfilling PUBG experience. Asus Zenfone Max Pro M2 - Asus Zenfone Max Pro M2 is powered by the Snapdragon 660 octa-core SoC and a massive 5,000mAh battery which will last a long time during gaming sessions. Xiaomi Redmi Note 6 Pro: The phone is powered by Qualcomm Snapdragon 625 octa-core SoC clocked at 2GHz, and paired with 4GB RAM and 64GB internal storage. The phone has enough power to keep PUBG ticking for hours without any issues. Other notable mentions in this category includes Xiaomi Mi A2 (Rs 14,999), Realme 2 Pro (starts from Rs 13,990), Nokia 5.1 (Rs 10,999) and Realme U1 (Under Rs 12,000). The above mentioned phones aren't too expensive and won't burn a hole in your pocket. Plus, they will give you a smooth gaming performance at a reasonable price.